Explains how to run sudo commands without a password on Unix and Linux systems by modifying the sudoers configuration file. Learn how to concatenate multiple text or binary files into a single file on Unix / Linux. Also learn how to append the contents of a file to the end of another file or concatenate the same file to itself multiple times. 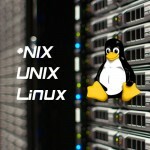 Explains how to find and delete zero byte size files using the find command on Unix and Linux. Also explains how to delete files only in the current directory using maxdepth and prune options.